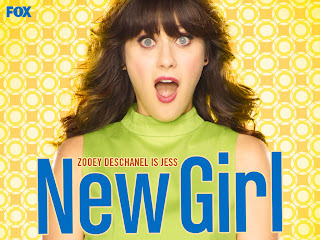 Miss Mel + Miss Heather: New Girl! So I know I've already talked about my serious love for Zooey Deschanel but this time I'm going to share my other serious love for her new show titled New Girl. For those of you who watch it know how great it is and for those of you who don't, well you should be watching. Okay I'll lay down the basic plot for you guys. After a bad breakup, Jess (Deschanel), an off beat girl, moves in with three single guys she's never met. The show follows her getting to know her roommates and them getting to know all of her many many quirks. The best part is that they know shes bonkers crazy but they still support her and love her. It's basically one of the funniest shows I've seen in awhile. One of my favorite new shows this year! Describing it doesn't do it justice, you'd just have to watch it! Which I strongly suggest! 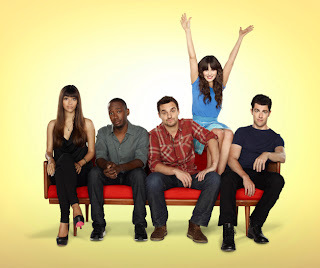 I love this show, really funny and cute :). I know I can't get enough!